Midweek Ramblings is....: Last week was pretty busy for me, and I didn't have time to get a Midweek Ramblings post up for last Wednesday. I put up a poll on IG Stories to ask if y'all still wanted to see these posts every week, or if you'd prefer for them to be Monthly Ramblings at the end of each month. Surprisingly, the poll was tied about 50/50 at the end! That was enough for me to know that I should keep these posts on Wednesdays. So- here we go again, Midweek Ramblings back and here to stay! Up and coming travel destinations: I loved this round-up from USA Today! It highlights some of the top beach destinations around the world, and many of them are up and coming or off the beaten path, with incredible deals to be found. I don't anticipate any international travel this year, but I'm totally saving this list for 2020 and beyond! Helping with fellowship: When I first started going to my church here in Charlottesville, there was an incredible girl named Kaye who would organize a lot of social events and Sunday fellowship times for the young adults at church. She was such a social butterfly, and thanks to her efforts, so many of the young adults at church were able to connect and become friends! Kaye moved out of Charlottesville recently, so myself and my friend Lily have stepped up and are trying to continue some of the Sunday Fellowship traditions that she had started. This Sunday was our first young adults gathering of the year, and I think it went well! I hope that by getting involved in planning these church events, they will be a blessing to everyone, just like it was such a blessing to me last year when I was newer in Charlottesville! Photography tips: I recently had a chance to review an e-book all about photography tips, and specifically photography for fashion blogging and Instagram! I thought this e-book was informative and fun to read- while a lot of the information was things that I've learned over the years from doing so many blog photos, I think this would be a great resource for someone starting out! You can save 20% on your purchase of e-book "How to Take a Better Photo" by Meg Cusick- use code MISSALK20! Last weekend: On Friday night I hosted a swap night at my place with some girlfriends (I'll definitely share more about that in a separate blog post too!). Saturday I went to barre class in the morning, and then my had my friend Emily over for a cookie decorating afternoon. Saturday night ended up being a blast! My friend Abigail is in grad school and UVA, and she invited some of our friend group to accompany her to the grad school winter formal. It was a BLAST- I haven't danced that hard in so long! Sunday morning I taught Sunday School, and then kicked off the young adult Sunday Fellowship afterwards. Whew! What a fun and busy one. This weekend: One of my ADPi sisters, Perrin, is coming to visit for the weekend! I'm currently working on planning an itinerary that involves highlights of all there is to do in Charlottesville. I purchased this mascara that so many of my friends have raved about! I'm currently layering it with two others that I really like for my everyday makeup, and I'm a fan so far. I stocked up on a few pairs these tights! They were 50% off last week, so I made sure to buy enough for NYFW, as that trip is coming soon. And a couple fun purchases, I bought this dupe purse and this dupe belt! I haven't ever really bought a lot of designer dupes before, but both of these came well recommended to me from a friend, so I figured I'd give them a try. I can do a review after I get them if y'all are interested! Zara is one of my all-time favorite stores, and sometimes they have really incredible deals. This super cute tank top is under $10 currently! How cute is this heart sweater for Valentines? I think this would be really cute if you had casual plans for the holiday- or for Galentines! And sticking with the Valentine's theme... these adorable sparkle earrings! I love the heart detail. Swimsuit season is still awhile from now... but if you're headed somewhere warm for Spring Break, I love this one-piece! This business casual dress is effortlessly chic, and I think would transition well from winter to spring (wear now with tights, wear with spring accessories when the weather warms up!). Song of the week: My Favorite Man by Irina Rimes. If you've been reading Midweek Ramblings for awhile you know that I listen to a lot of world music. Lately I've been obsessed with this song- it's has such a great beat that makes it perfect for a workout playlist! 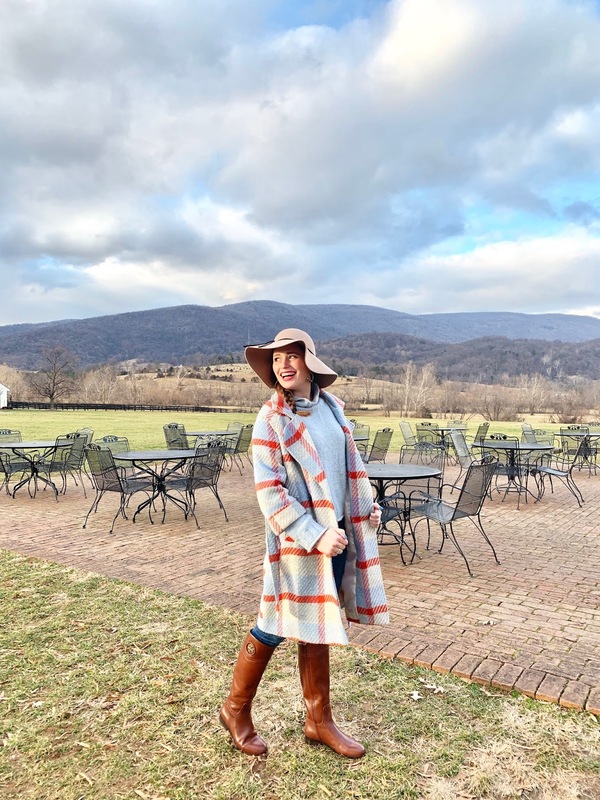 Style Charade - I loved reading about Jenn's dream blog collaboration with United Airlines! BeYOUtiful - Torunn did her wedding recaps this week, and I especially enjoyed the post dedicated to her bridesmaids! Olivia Rink - I just adored Olivia's honest and heartfelt post about the realities of being both a fashion influencer and a Christian woman. How great that you're continuing with the young adult fellowship at your church! My church had started something similar last year and though I'm a total introvert and rarely join, the few gatherings that I have attended have really made me feel more connected to the community. Definitely going to check out that e-book! I hope you are having a great week! Dang sounds like it was a super busy weekend for you! Hope you have a blast with Perrin.